After Google's Duo came out about a month ago, everyone was at the edge of their seats, waiting for the second chat app from the company — Allo. Well, it seems to be slowly rolling out today to the delight of users worldwide. Contrary to what the name would have you believe, Google Allo doesn't feature voice and / or video calls. No, it's just for texts, with all of its pretty extensions that spruce up your chat session, and a Google bot always ready to help you with a query. 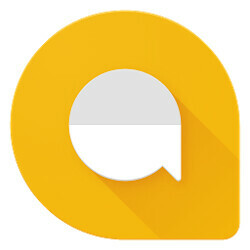 Is Allo late to the party? The chat scene has long been overtaken by apps, such as Facebook Messenger, WhatsApp, Viber, Telegram, not to mention Google's own Hangouts, and many others. Indeed, the announcement of not one, but two separate apps meant for communication perplexed us a bit, and we are still curious to see if Google will manage to make them interesting enough for the majority of users to jump on to using them. Positioned as a clear competitor to Apple's iMessage, it looks like Google really wants Allo to stick around for longer. So, we wonder, how interested are you in keeping it on your phone? Are you going to be using Google's Allo? It just released. How is everyone supposed to be using it if it just released? At this point any new SMS app won't be ideal for anybody, people already have what they need, Messenger from FB,Whatsapp, Imessage and regula SMS from the carriers. iMessage is only on iPhone unless you live in a iOS bubble allo is better. because 95% of the world can use it. Its not a basic SMS app, you can not even set it as the default SMS handler. No. Duo is more interesting since it seems to work with just phone numbers. Allo has nothing to gain for me, since I can just send a regular text the regular way. thats the point, ditch the old out dated text app that is very limited to allo. Test app on android is very limited, poor pictures, almost impossible to send any type of video, emoji-only. Allo uses both SMS and the internet to do everything better that your text app does plus more like stickers, easier ways to share things, a search feature if you ever need to find something quick that was said couple days/weeks/months back. Allo is android version of imessenger. Its need more work Google should have integrated Duo into Allo, there's no flash icon when you open the camera app to send a picture, no status update, and so many more its good and simple but I dont see it beating whatapp or bbm anytime soon. Why can't google implement a messaging app similar to iMessage? It would be crazy popular to just open up the standard android messaging app and have it automatically recognize who is using android on the other end. +1 bro. That`s how Google should do it but I`m using it already and IMO it has the potential. Couldn't agree more. The fact that you have to invite people to use it will be a huge downfall of this app. Shoot I can't even figure out how to make it my default messenger app (and now I'm wondering if I ever should). The difference is Allowed is cross platform, iMessage isn't. The only way that's going to work is if you're on an iDevice, but then you run into issues with the 10% that don't use iMessage as well. That's why the real solution is for whatever system ends up the victor, it needs to be cross platform. Probably not this should just be an Android Stanadard. I'll instal it only if majority of android users will. Same with Duo. This is one thing I like about iMessage and FaceTime (sorry to being Apple features into this comment section), it is great primarily because everyone on iOS has it (and nearly everyone on my contact list has iOS) - so I can FaceTime or use any iMessage features without asking them to install the app first. The second great thing is that I can also text with those that don't have iMessage - Allo need this otherwise it's no better than other 3rd Party messengers. But FaceTime and iMessage are both preinstalled and can't be uninstalled or disabled, correct? So obviously everyone will have it and have it functional. IIRC you can text with non Allow users from the app, but it won't have all the features of the Allow app available, similar to how using iMessage with non iOS users they simply do SMS. Well I suggest that google adds Allo and Duo as stock apps to android. I haven't used the app, but from what I hear - it does not work unless the other party is Allo installed as well. I could be wrong. Either way - Google has to make a standard for better adoption. IIRC it does work with non Allo users, but it's pretty wonky. However, from what I've heard both Allo and Duo will come preinstalled on the Pixel phones. Having them preinstalled is one thing, but will they still work if they're not set up? And what's to stop someone from disabling them? But even if they make them ready to go out of the box and not something end users can disable, you run into a similar issue with iOS users that they have with Android users now. How do you get them to switch from iMessage to Allo/Duo? I seriously doubt Apple would let them be preinstalled on their devices, so you're right back to where we are now. Granted what you said would work for Android users, but the whole cross platform thing is still an issue. I installed hangoutst, thinking that that's what everybody's going to be using from android side, but barely anyone is using it - shame, really - it's a good "go-to" app. I just need one go to app for video calling my customers that have android! I need that app to show me whether the contact Has it the app or not. Basically I have a lot of hope for Duo! That's the peril of having things be more open, not everyone is going to chose the same thing. They choose what fits best based on their needs. Some people use Hangouts, others use WhatsApp, others use etc,etc. I myself don't use IM, since most of the people I talk to by non vocal communication use SMS, either because they have a dumbphone or they just haven't gotten into the whole IM thing and SMS is familiar to them. Sure Google could force them to use what they want them to, but it could also alienate their users. As for video calls, many probably use what came on their phones and is the most in the forefront. Sometimes that's the one that is managed by the cell carrier. Myself I've only video called twice. Once to test it out, and the second on XMas when one of my brothers couldn't make it home. Both times we ended up using Yahoo messenger video calling plugin. I tried to get him to use something else, but he didn't use Hangouts or Skype and I don't use Facebook, so it was either that or one of the many seldom heard of apps. Granted this was before carriers had added it to their offerings, but still, you have to understand that no matter what platform they're on, not every user is going to choose the same thing as long as there are multiple options out there. All true and good points. Btw, I make 50% or more FaceTime video calls than regular calls - either family, clients, or just check on my daughter and call her iPad. My biggest need isn't the feature set, or how pretty it looks, my biggest need is ability to just text or video call anyone at anytime whether I talked to them before or never once. iOS shows within the areas of its UI whether the person you're calling with, texting with, or just swing their contact info if they have imesssge or FaceTime. That makes the feature night and day compared to something that does not show that. Don't confuse my post as disagreeing with you... just sharing my preferences and hope that Google figures out these things for their apps either hangouts, Allo, or Duo, or w/e. I understand what you're saying about iDevices, but that's all under one ecosystem. Once you make a cross platform device, things like that would be much harder to do. I'd imagine for it to know if the other person has iMessage or FaceTime that it has to give permission to the app you're using to check out their device. Now that might work on iOS (however I don't know that I'd want some stranger who's just texting with me to know what I do and don't have on my device, that's a bit creepy), but crossplatform I doubt that'll ever happen, to many permissions to give. I have seen things like what you're speaking of before, like when I was trying out I think it was Tango for video calling after I installed it, I noticed one of my contacts showed up as also having the app. At first I thought "Wow, there cool" and then I thought " So anyone using this app also knows that I have it installed as well" and I was less thrilled. Sure it's convenient, but it also seems to me to be a bit of a privacy issue to me. Not the same at all. It's apparent that when I text, I have a phone, yes. But I am sending the text, so by doing so I am making a conscious action to do so. When you're talking about texting someone and it also tells you they have iMessage and FaceTime, that's telling the person you're texting you have those on your device and that isn't related to texting. That would be like if someone I send a text message to also was able to see that I had Hangouts. If I'm sending someone on Craigslist a text about buying or selling something, maybe I don't want them to know alternative ways to contact me. They very well could embed them into the OS, although not in AOSP since that is there proprietary software and tuat would require them to make it open source. But say they made it part of Google's version of Android (the one with Play Services including the Playstore). Just because it's part of the OS, it doesn't mean that everyone will all of the sudden use it. And if Samsung or LG or whoever devices to make their own IM client, supplants Allo and uses their own? That's happened quite a few times already (S-Voice in place of Google Now for instance). If Google tried to force them to use Allo, that could get Google in hot water like the litigation charging Google with forcing their services suite to be installed to have access to the Playstore. But in many cases, the reason people don't adopt these apps is they're missing features they want. Everytime a new messaging app is born, then 12 pandas die, 100 children in Africa starve to death, a new terrorist attack occurs and samsung manufactures 1000 more grenade phones... the point is, isn't this market so saturated to create even more apps that doesn't add any value to the user?? ?